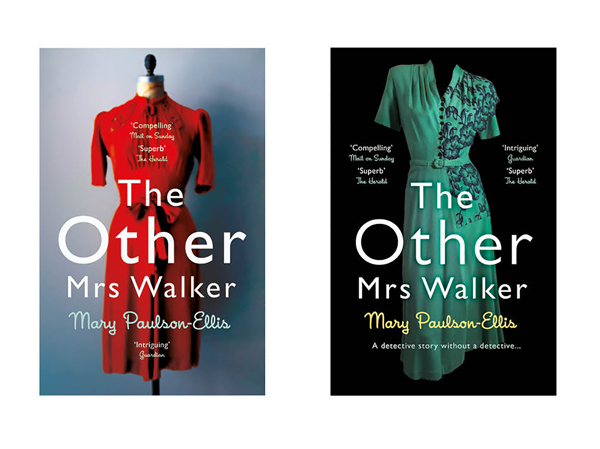 Book cover designer, Ami Smithson, tells us about her quest to find the perfect dress for the paperback cover of Mary Paulson-Ellis’ The Other Mrs Walker. The paperback cover proposals for The Other Mrs Walker used a number of different dresses - some from image libraries - fully available for use and commercial license - others - uh-oh - from the wilds of the internet and Pinterest (a useful resource but also a frustrating one - images travel from board to board quickly and very often the original source is lost, and images often not credited). The chosen dress was from Pinterest, seemingly with no way of tracing where it was originally from - it had been repinned and not credited. The next step was to do a reverse image search, where you upload the photograph and hope the internet can find it. But nothing came up. I thought about hiring a similar dress - if we could even find something comparable - and having it rephotographed - but - by this time, we all loved the dress - author included. I returned to Pinterest, and searched again for dresses of this period in the 1930’s-40’s. I didn’t find the green dress I’d used credited - but - what I did notice is that a lot of the other dresses had been styled and shot in a very similar way - the left shoulder back, the right knee forward, and on white backgrounds. The more I saw, the more I thought that my green dress surely had to come from the same source. These dresses were actually credited - to a vintage dress shop in, deep in the heart of Des Moines, Iowa, USA: Dorothea’s Vintage closet. What a treasure trove of beautiful clothes and accessories. I crossed my fingers and sent them an email: ‘Have you seen this dress?’ and attached the image and the cover rough with an explanation. A day or so later I had a positive reply. It was their dress! Amongst the most amazing selection of vintage dresses and shoes and bags, the owner of the business, Angela, knew that this was one of theirs. But - the dress had been sold. But - she remembered the customer. Who, luckily was local. 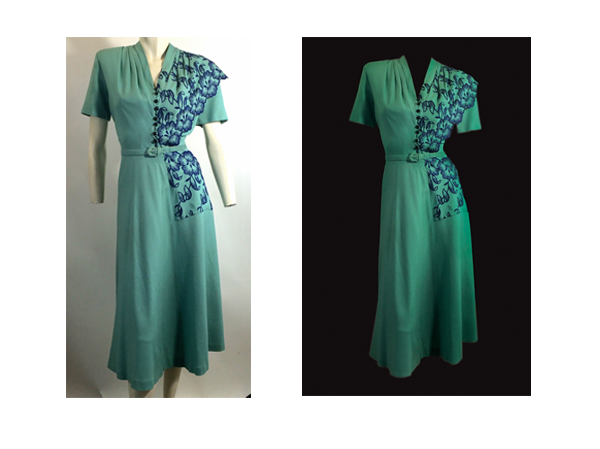 She called her, the dress was brought back in to the store and then rephotographed. We now have the dress. We now have the cover! A mighty thanks goes out to the dress buyer, for returning it, and to Angela, the business owner - who as well as being a lifelong, diehard Duran Duran fan, went above and beyond to help us out. A few days later a middle-aged woman arrives back in the city she thought she’d left behind, finding a job at the office for lost people. What margaret penny cannot yet know, is just how entangled her own life will become in the death of one lonely stranger . . . Discover how Ami designed the beautiful cover for Jessie Burton's The Muse here.